On Saturday July 14, 2018 at approximately 5:31 p.m., 3rd District Police Officers were on foot patrol in the vicinity of the 2000 block of East 71st St. The officers approached a male subject exhibiting characteristics of an armed person, when an armed confrontation ensued resulting in an officer discharging his weapon and fatally striking the offender. The offender was transported to a local hospital where he was later pronounced. A weapon was recovered at the scene. No other injuries were reported. they were confronted by an armed offender. Officers fired shots at the offender striking him. was recovered at the scene. transported to a local hospital where he is in serious condition. responded to the area at which point the offender fled on foot prompting officers to give chase. 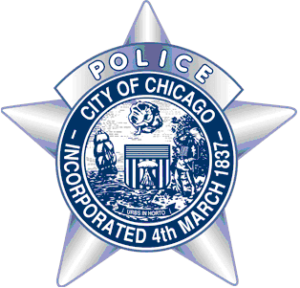 Currently, the specifics of this incident, including the comprehensive use of force investigation are being investigated by the Independent Police Review Authority with the full cooperation of the CPD. The officer(s) involved will be placed on routine administrative duties for a period of 30 days. The matter remains under investigation and all further inquiries can be directed to the Independent Police Review Authority at (312) 746-3609.
an area hospital where he was pronounced. The investigation remains on-going between both the Chicago Police Department and the Independent Police Review Authority.